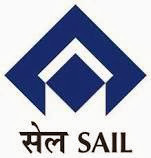 Steel Authority of India Ltd:- SAIL, a Maharatna Company of Govt. of India, is the world's leading and India's largest steel producer, owns 5 integrated steel plants at Rourkela, Bhilai, Durgapur, Bokaro and Burnpur and 3 special steel plants at Salem, Durgapur and Bhadravati. Qualification: Atleast graduate Degree in (Mechanical, Metallurgy and or Material Science, Mineral Engineering, Chemical Engineering, Ceramics Engineering, Geology/ Applied Geology, Electronics Engineering) with minimum 65 % marks or its equivalent qualification from a recognized university. Fee: Examination fee of Rs.500/- for General and OBC Candidates or Rs.100/- as processing fee for SC/ST/PWD/ Departmental candidates. How To Apply: Before applying the candidate should read all the instructions to ensure about his/her eligibility. There registration will be provisional. Only those candidates who fulfill the eligibility criteria will be issued admit card/interview call letter. Mere issue of admit card/interview call letter will not imply acceptance of candidature. If at any stage, it is detected that the candidate has given false information; his candidature will be rejected forthwith.